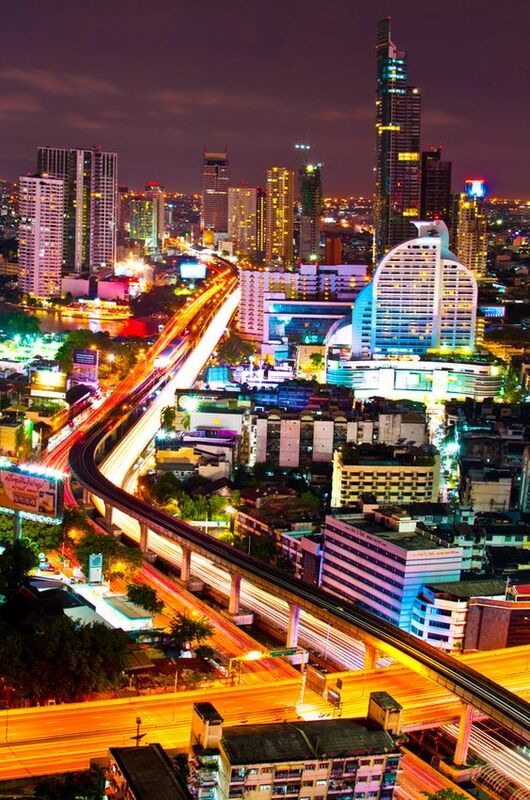 Your choice of Chiang Mai Attractions in this northern part of the country is immense and you could easily be spoiled in your decision making. Nevertheless, you could opt to explore some of the amazing temples here or you could visit several Hill Tribe Villages such as the Long Neck Karen Tribe or the second largest minority group in the area known as the Hmong Hill Tribe. There are limitless opportunities to view other great sites including elephant farms, botanical gardens, museums, arts and craft markets, national parks and forests some of which have spectacular cascading waterfalls. But there's more, a lot more. When viewing this article you'll probably notice that apart from some of the hill tribe villages, I have only featured what I considered to be the most important and impressive temple complexes in and around Chiang Mai. All of them being unique in their own special way. In particular, I have an inquisitive interest in all forms of architecture. And it matters not which city, town or out of the way place my journey takes me. So as far as all the other amazing attractions in Chiang Mai are concerned, you'll get to experience a lot of similar ones everywhere you go in the Thai Kingdom. I have to admit that my first impression of Chiang Mai, and that after several hours of driving up from Bangkok, remembered thinking that this second largest city in Thailand seemed more like a sleepy village. It was a late Saturday afternoon when I first set eyes on the town. But all that soon changed as various events unfolded before me. Also here in the north, I got the impression I was in a different country altogether. The air at first seemed fresher and cooler and not as polluted like Bangkok. Don't get me wrong, Chaing Mai is rapidly changing every year as more and more visitors are discovering this gateway to the north. And while you cannot escape the escalating pollution, it's still a lot better than the noise, chaos and confusion of Bangkok. Or even the crowded southern beach resorts. Of course the further out of town you go, life takes on a whole new meaning. In fact, Chaing Mai is quite unlike that of the popular tourist destinations seen in tour brochures. So if you're looking for something out of the ordinary, a good sanctuary to rest and gather your thoughts, then Chiang Mai could be the right choice you've made this year. Don't just take it on my word, go out there and check it for yourself. There's a good chance that you will be pleasantly surprised. Wat Phrathat Doi Suthep is possibly the best-loved temple of all in the city. It's certainly the most famous one here. Doi Suthep is also an important symbol of Chiang Mai as well as being a holy site in which pilgrims come to pray. And if the legend is to be believed, it states that during the mid-1300's an elephant with a Buddha relic strapped to its back was set loose up the mountain. However, the elephant could only climb halfway before it stopped exhausted. Because it could go no further, it was decided to build Doi Suthep on the spot where it is now. You can take a leisurely drive up a winding road and pass a couple of waterfalls before arriving at a large car park beneath the site. Once at this site and in order to get to the temple from the car park, you can either walk up the 290 steps or take the funicular. From the top, you will have a magnificent view overlooking the city. Doi Suthep is open daily from 8:00 am until 6:00 pm with admission just 30 Baht. 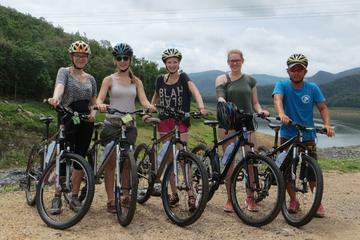 How would you like to join us on a 4-day biking adventure in Northern Thailand? You'll get to spend four days of great cycling from the hills of Chiang Dao to the Maekok river valley. You'll be provided with well-maintained and sturdy bicycles made for rough mountain terrain. You'll be riding through some of the most scenic regions of Northern Thailand with plenty of exciting trails and sights not many tourists ever get to see. You'll discover small villages along the way, including ethnic hill tribes of Northern Thailand. This trip is a true cycling adventure which you can set at your own pace while our dedicated staff provide you with their full support. For more details on how to get started, simply click the link above. Here's wishing you a safe ride and a pleasant journey. Booking your trip from this page (at no extra cost to you) would not only give me a little pocket money, but you'd be helping me maintain this blog so that I can continue giving you more Thailand travel info. Bhuping Palace and National Park is not far from Doi Suthep. This site was originally constructed in 1972 as a winter residence for the royal family. The highlight here is the magnificent gardens with its beautiful exotic flowers. The park is open daily from 8:30 am until 4:00 pm when the royal family is absent between mid-December and early February. Admission is around the 50 Baht mark. Wat Doi Kham is a temple situated behind the royal floral gardens and not that far off from the city centre. This is an important place of worship and the highlight for any visitor is the giant seated Buddha as seen above. Unfortunately, there is not much else to see here, but I'll leave that for you to decide. You might see something I have missed. Wat Suan Dok can be found west of the old city walls on Doi Suthep Road. This 14th-century temple complex is one of the most impressive in Chiang Mai. The large central golden spire or Chedi as they are called, seen in the photo above is believed to hold eight relics of Buddha. Ashes belonging to Chiang Mai's royal family are housed in the white washed Chedi's seen in the northwestern corner of the complex. The grounds are open daily from 8:00 am until 6:00 pm. There seems to be a lot of calamity surrounding Wat Chedi Luang which began construction in the late 14th century by King Saen Muang Ma. He wanted to bury his father's ashes here, but ten years on and still not completed, the king passed away. Due to various other problems, the temple was only completed in the mid 15th century. Unfortunately, in 1545, Wat Chedi Luang was partly destroyed during a violent earthquake and the 86-metre high pagoda was then reduced to almost half of its original size. Only the base and reliquary of this monument were restored. However, even in its damaged state, it's an impressive sight. And if you take an even closer look to the temple entrance you'll notice a tall ancient gum tree which legend suggests that if it should fall, so too will the city of Chiang Mai. I suggest now would be a good time to visit this site as the tree is still standing. Karen Hill Tribe are the largest of all the minority groups in Thailand comprising in total of around 300 thousand. They are easily recognised by their exquisitely woven V-neck tunics and turbans of diverse natural colours. Read More. 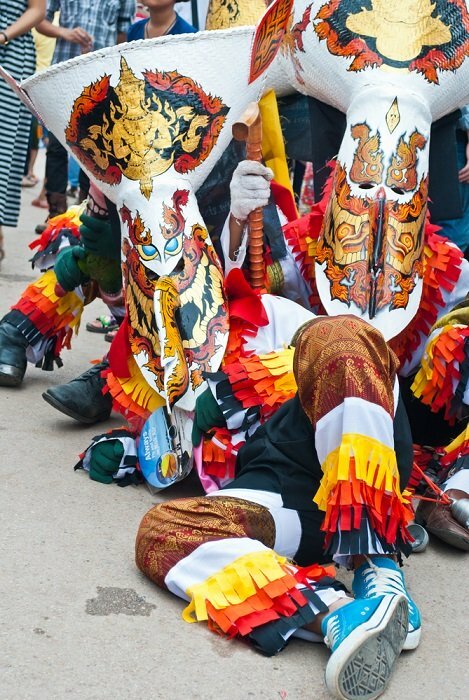 Chiang Rai is the last of the big cities in the northwestern region of Thailand. It is probably best known for its unique white temple Wat Rong Khun, lovingly designed and constructed by one of Thailand's most renowned artists and architects. Read More.